Currently, qualifying productions receive a 20% tax credit, plus an additional 10% credit for embedding a Georgia promotional logo in your film title or credits. The program is available for qualifying projects, including feature films, television series, commercials, music videos, animation and game development. With one of the industry’s most competitive production incentive programs, the Georgia Film, Music & Digital Entertainment Office and its Camera Ready Community partners can help dramatically cut production costs without sacrificing quality. Directors/producers meeting the film/TV production guidelines are invited to apply for Film Fund financial grants, a regional incentive program designed to support local productions, beyond the other incentives offered by the Columbus Film Commission (Commission). An application must be submitted to the Commission 180 days prior to scheduled principal photography to be awarded such funding. The Commission will not certify applications submitted prior to the 180-day timeline. Projects not meeting the Columbus Film Fund Entertainment Production Incentive Guidelines will not be considered for Film Fund financial grants. However, they may qualify for non-cash incentives offered by the Commission. Once an application for grant funding is submitted, the director/producer must provide a project script to the Commission. The Georgia Film Academy assigns the script to a reader who provides coverage to the Georgia Film Academy and the Columbus Film Fund Board of Advisors. The Film Fund legal counsel, Barnes & Thornburg, LLP, will participate in the deliberations on each project to make recommendations regarding legal issues relative to the funding request. A majority affirmative vote is required of the Advisory Board to authorize the Fund’s legal counsel to engage in negotiation with the director/producer for an equity position in the project and waterfall position commensurate with the amount of the grant request and to confirm chain-of-title and related diligence. Once those negotiations are completed, the contract between the Film Fund and the director/producer is presented to the Film Fund Advisory Board and the Columbus Economic Development Corporation (CEDC) Board for approval. A majority vote of each Board is required to award a grant. If a project is rejected for funding during the process, the director/producer may appeal the decision to the chair of the Film Fund Advisory Board. The Board may choose to hear or reject the appeal at its sole discretion. If the Film Fund Advisory Board approves the appeal, it will then make a positive recommendation for reconsideration by the CEDC Board. Once a final decision has been rendered, there is no process to appeal that action. Applicants should be totally familiar with the Columbus Film Fund’s Entertainment Production Incentive Program Application and the Columbus Film Fund Entertainment Production Guidelines. Failure to meet the Guidelines or incomplete Applications will result in immediate rejection of the project for a Film Fund grant. 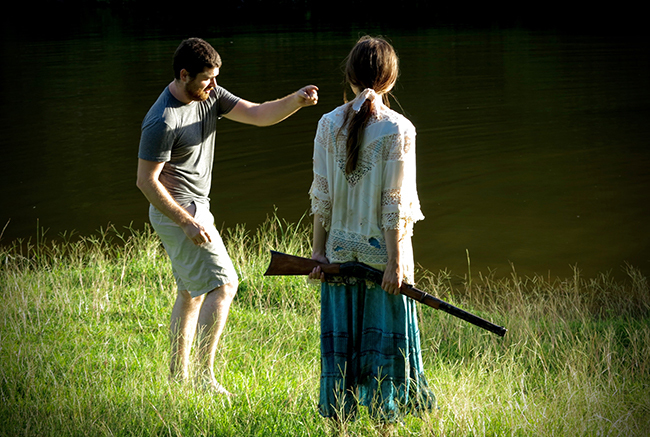 The Columbus Film Fund reserves the right to change its program guidelines from time to time in its sole discretion. Cash incentive grants may be applied for which have no specific minimum or maximum dollar amount except that no grant shall exceed 20% of the total value of the fund at the time of project pre-production. The primary purpose of incentive grants is to provide funding to compensate producers for the additional per diem, housing and transportation costs associated with bringing crew to Columbus. The Commission shall take bids from local hoteliers and apartment management companies to provide best available rates for housing crew and talent for each production. The Commission will assist in identifying vendors, with whom the producer and/or director can negotiate best price discounts for production offices, other rentals, parking fees, catering, security/police, healthcare professionals, site rentals, fire and rescue service, filming permits and other production costs. The Commission will provide information on renting Flat Rock Studios and fully furnished production offices located in Columbus. Columbus State University faculty will assist with casting calls and auditions. Columbus State University will provide resumes for local workers who have completed the Georgia Film Academy on-set film production Nexus degree. When possible, the Commission will secure in-kind support for projects in exchange for thank you recognition of said vendor in end credits. 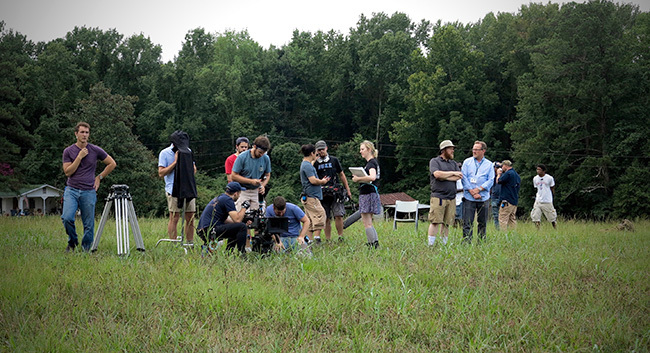 Selected projects providing documentation that 85% of the production’s budget was spent in Muscogee County may qualify for an additional 10% of an incentive grant. The Commission will provide referrals to a Columbus based film distribution company for possible film distribution agreements. Experienced film/television technicians with no fewer than (5) five years of verifiable experience, who relocate to Muscogee County with a minimum one-year lease or purchase of property and who reside the Muscogee County for a minimum of 30 days may apply for a $2,000 relocation reimbursement grant. Verifiable receipts or other documentary proof and possessing a valid Georgia driver’s license are required. Applicant’s project must have a minimum budget of $1 million. The Columbus Film Fund will assess each applicant’s project on its merits and for its commercial viability with promise of meaningful return on investment. Preference will be given to projects that are written, directed, produced, financed, or in other ways created or controlled by Georgians, given equal commercial viability. Selected projects must have a minimum qualified spend of $500,000 in Muscogee County & 60% of shooting days must be in Muscogee County (unless budget exceeds $15 million, in which case 50% of shooting days must be in Muscogee County). Pre-production operations must be headquartered in Muscogee County. Productions seeking interns may request them through the Columbus State University/Georgia Film Academy film production degree program. An applicant can qualify only once per 12 month period unless a negotiated (2) two or more packaged film deal is agreed to in advance or the budgets collectively exceed $15 million. An applicant will be considered the same for incentive program purposes if the applicant shares any common ownership, corporate officers, or other verifiable affiliation with a previous applicant. An applicant must meet with the Columbus Film Commission (Commission) and spend a minimum of two days of scouting before applying. The Columbus Film Fund will negotiate an equity position in each project receiving a Columbus Film Fund incentive grant. An applicant must provide all necessary documentation for audit of application (including exhibits) within 120 days of the completion of principal photography. If post-production takes place in Muscogee County, this deadline shall be extended until 120 days from the completion of the Muscogee County post-production. The Columbus Film Commission logo must be displayed in end credits. Applicant’s project must have a minimum of (5) five 30-minute episodes. The Columbus Film Fund will assess each applicant’s project for its commercial viability with promise of meaningful return on investment. Preference will be given to projects that are written, directed, produced, financed, or in other ways created or controlled by Georgians given equal commercial viability. Selected projects must have a minimum qualified spend of $400,000 per episode in Muscogee County and a total budget of not less than $2 million. Selected projects must have 60% or more of shooting days in Muscogee County. An applicant must meet with the Columbus Film Commission and spend a minimum of two days of scouting before applying. An applicant must provide all necessary documentation for audit and completion of application (including exhibits) within 120 days of the completion of the end of principal photography.